This site begun in another life of mine. When I was young and mostly foolish. Now I’m a bit older and quite certain I’m foolish. In that other life, it was a decent place for writing about space and the society around us, in that place on planet Earth called Romania. Now, after what seems like eternity, I will try to play god and inspire this site with life again. Here you will mostly find random things about the world around me and how I see it – astronomy (mostly), politics, religion, infosec and nature. Probably in no particular order… I will geek about a lot of things and I will probably offend some of your beliefs. It happened before (I will probably talk about this at some point…) and it will happen again – it’s inevitable. Last night I took a telescope out in the garden as the sky was clear and the temperature at around -3 degrees Celsius – nice and crisp. 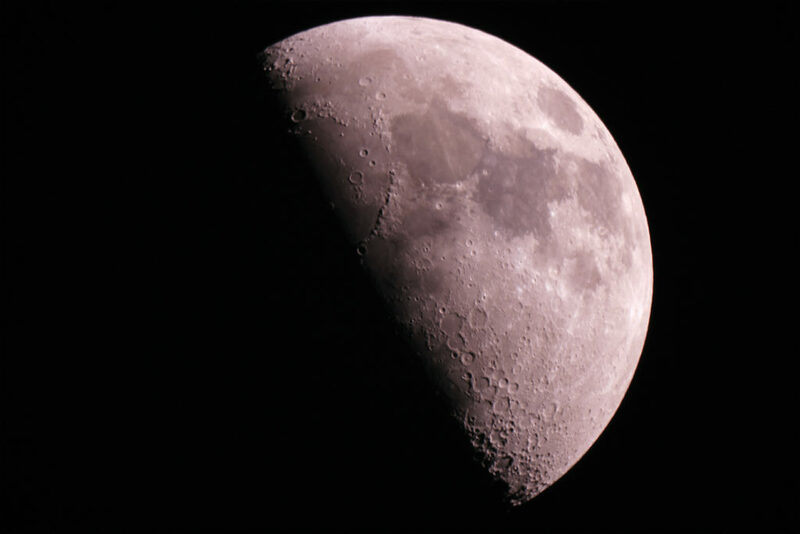 The official reason was to test how well it performed after tweaking its optics a bit (telescopes need to have their parts extremely well aligned to produce a sharp image), but I really wanted to watch the Moon… it’s been a long time since I’ve done it. But, of course, Scotland being Scotland, about 15 minutes after putting the telescope out, a thick layer of fog formed. Not enough to make the Moon invisible, but enough to make the image “boil” in the eyepiece. Still, our natural satellite was absolutely beautiful! At a distance of about 380.000 km, it was shinning bright above the roof of the house. A day to the hour before me staring through the fog at it, in 1968, we humans first left the orbit of the Moon in Apollo 8. It isn’t the sharpest photo of the Moon around and I would have done better if it wouldn’t have been for that fog. 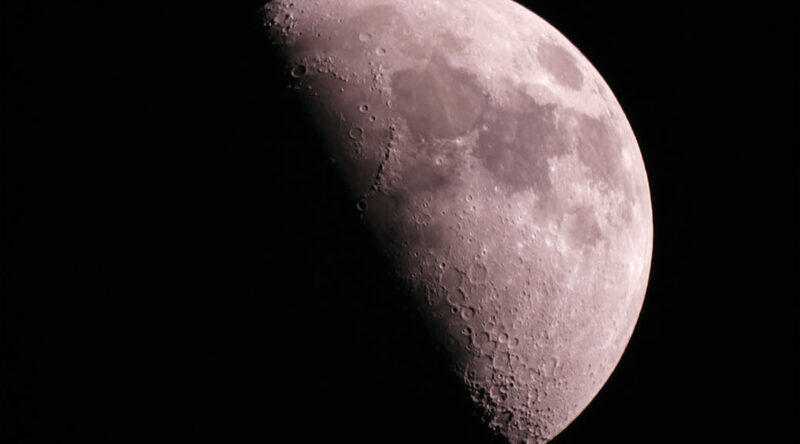 It did look sharper through the eyepiece and the mountains and craters on the Moon were incredible. More to come some other time.